Microwave 1 candy coating wafer in microwaveable bowl on HIGH 15 sec. ; stir until smooth. 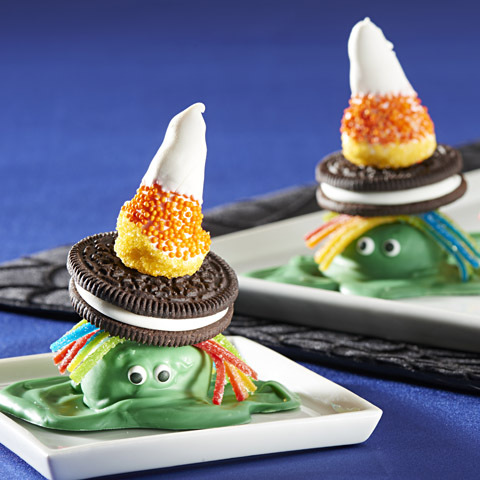 Dip bottoms of remaining candy wafers, 1 at a time, into melted candy coating; place on cookies. 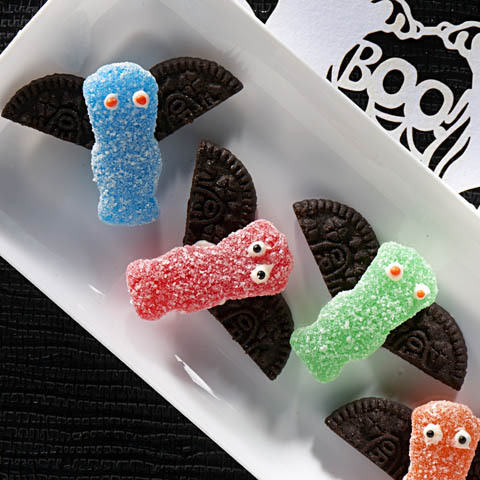 Dip bottoms of candy-coated chocolate pieces, 1 at a time, in remaining melted candy coating; place on tops of wafers to resemble eyes. VariationOmit 1 candy coating wafer. Microwave 8 white candy coating wafers in microwaveable bowl on HIGH 45 sec. ; stir until smooth. 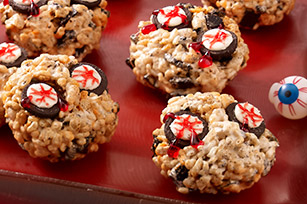 Spread onto tops of cookies; top with red candy coating wafers. 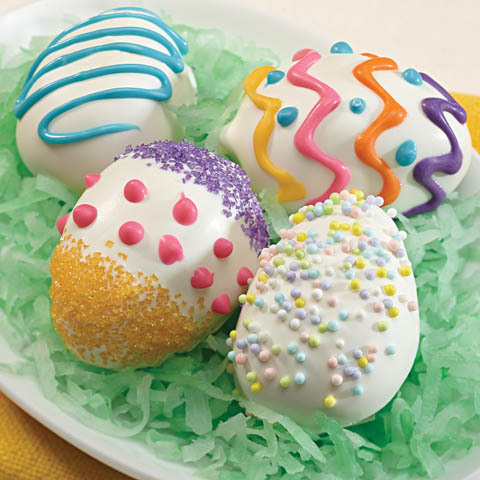 Add candy-coated chocolate pieces as directed.